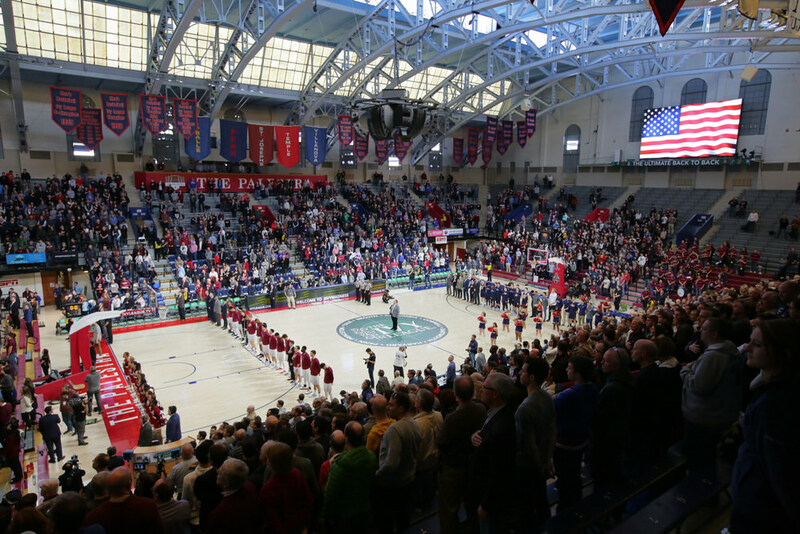 In 2017 and 2018, the Ivy League basketball tournaments were played at the Palestra, an 8,722-seat arena known as "The Cathedral of College Basketball." 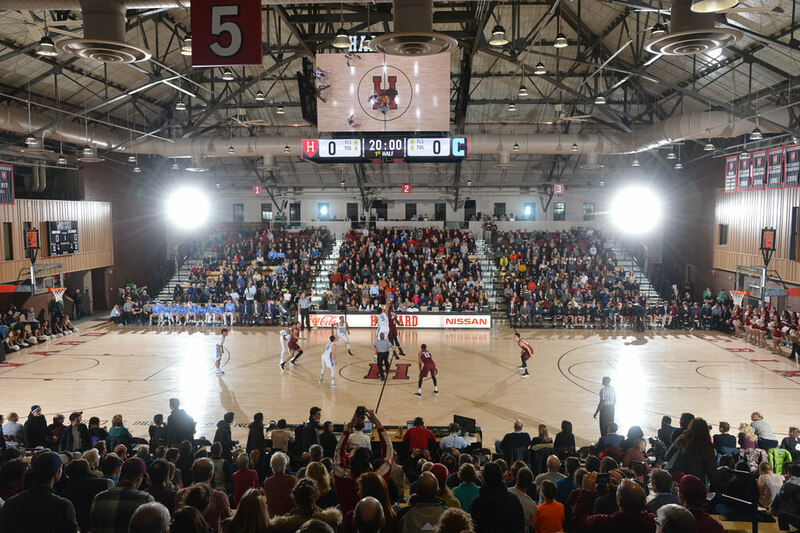 Next year, the Ivy League tournaments will rotate to Harvard's Lavietes Pavilion, which recently underwent a substantial renovation and seats 1,636. The disparities in the league’s arenas are striking. 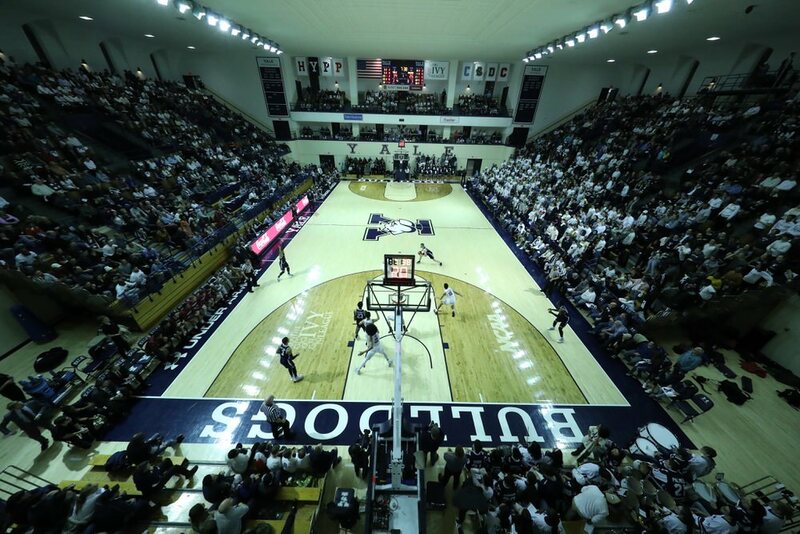 For the last two years, the conference held its tournaments at the Palestra, Penn’s 8,722-seat arena, long-dubbed “the cathedral of college basketball.” None of the other Ivy arenas approaches the Palestra’s iconic status, and many are small. Harvard’s Lavietes Pavilion, the site of next year’s tournaments, seats 1,636—while attendance at last year’s tournaments was a combined 5,219 for the semifinals and a combined 5,564 for the finals. Harvard Magazine spoke with more than 25 alumni and journalists as well as current and former league officials, athletic directors, coaches, and players to gauge sentiment surrounding the tournaments and make sense of this decision. This reporting revealed a complex, consensus-driven decision-making process and a meticulous, sometimes uneasy, effort to balance institutional interests with social, commercial, and athletic issues. Was it ultimately for the greater good? Many were happy to continue that custom, including Stemberg coach Tommy Amaker, who saw the arena as a way to cultivate the tournaments’ identity. “My three thoughts,” he says, “were to brand it, anchor it, and then grow it.” Cuff, the former Columbia player who now broadcasts the men’s tournament for ESPN, remembers the sense of history he felt playing in the building and calls it an ideal venue to showcase Ivy League basketball on national television. And these days, television and commercial considerations have become increasingly important. In April 2018, the league signed a 10-year deal with ESPN to broadcast many events, including all basketball games. The conference has also become more open to commercial sponsorship. In 2016, it partnered with JMI Sports, its official marketing-rights agency. “We really felt that we were the last untapped resource in Division I Athletics,” Harris says. “We’re going to be very careful about the companies with which we choose to align. We’re going to make sure that they represent quality, positive values, and that they fit with the Ivy League.” The tournaments’ sponsors thus far have included Porsche, Citizens Bank, and TIAA. The ADs always knew that they might need to modify the tournaments. “We took a leap of faith, I suppose,” says former Yale AD Tom Beckett, “and asked for people to give this a chance. And to be candid with you, it was experimental.” Even so, the question of where to move the tournaments has been vexing. “We have spent, I think, more time on location than on any other issue related to the tournaments,” Harris says. After 60 static years, Ivy League basketball made a major change in 2017 by creating the tournaments. Now it is adapting. “You tweak the things that need tweaking,” says Princeton’s Marcoux Samaan. The rotating schedule for the tournaments may be a flop a few years from now, but that doesn’t mean the original decision was flawed. If anything, the Ivy League’s decision-making process—which considers increased national competitiveness as well as vital social, financial, commercial, and other concerns—is adding a dose of sanity to March Madness.